A luscious, powerfully nourishing food for the skin. Use this rich, elegant, calendula cream as a corrective treatment to restore skin's elasticity & vibrancy. 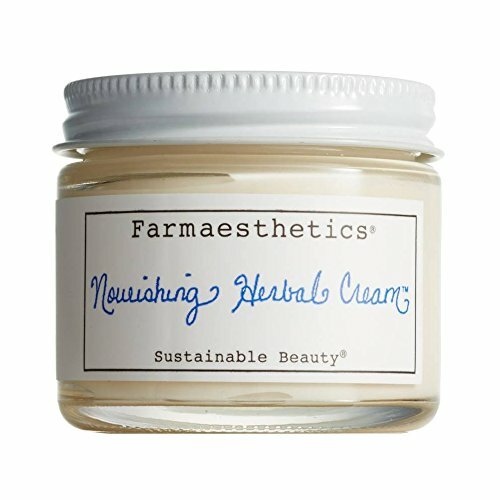 Although created specifically for face, eye area, neck, jaw-line & anywhere skin is thin, crêpey or slacking, our Nourishing Herbal Cream has a growing fan following of new & nursing mothers who attest to its power to prevent the onset of stretch marks during & after pregnancy. Use at nighttime or as mask to treat dry, damaged, aging, or dull skin in need of revitalizing nourishment. For optimal results, apply cream to freshly washed skin that is still damp & warm.